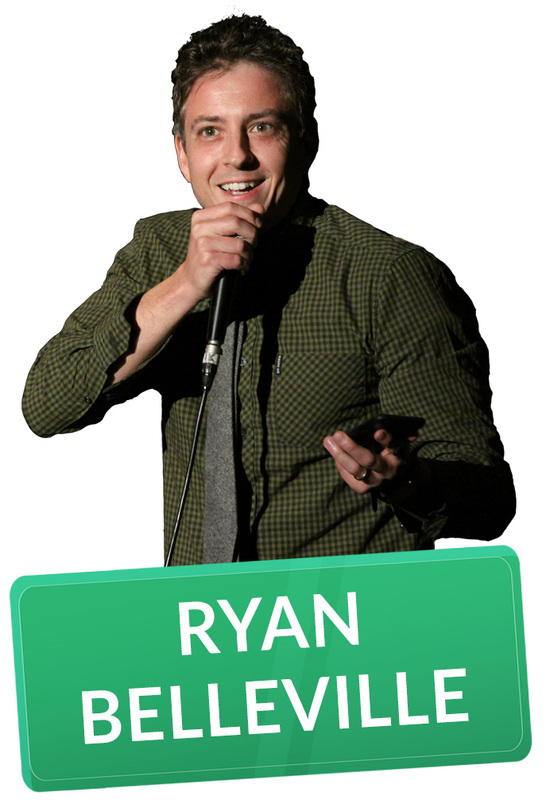 Ryan Belleville is a favourite at the Just for Laughs festival as well as CBC’s Halifax Comedy Festival, The Winnipeg Comedy Festival, Comedy Now, and CBC’s The Debaters. South of the boarder he has been seen on Comedy Central’s Live at Gotham, CBS’s The Late Late Show, and MTV’s Busted. Also a succesful actor he starred in the CTV’s Satisfaction, & FOX’s sitcom Life on a Stick. He was the star and co-creater of the show Almost Heroes, now available on Hulu. He has starred in the feature films National Lampoons Going the Distance, Disney’s Stuck in the Suburbs, Step Dogs and the award winning family film Finn on the Fly.